NEAC 2019 Exhibition / Limited spots / 500 delegates / 2 days / EOI now open! As the Royal Commission into aged care quality and safety unfolds and a National Plan on Elder Abuse in the spotlight, 500+ delegates from across Australia will gather at NEAC 2019 in Brisbane on the 22 and 23 July, 2019. The event will harness momentum, energy and commitment in safeguarding the right of older Australians to live free from abuse, violence, exploitation and neglect. Alongside this two-day conference, there are a limited number of exhibition spaces available for like-minded industry related organisations who wish to connect with delegates from a range of sectors and industries including government, policy, research, banking, finance, and the community sector. Expressions of interest for these opportunities are now being accepted. We encourage you to apply early to avoid disappointment. Once approved, you will have the option to select your preferred booth allocation. *PLEASE NOTE: The Basic marketing package is included with this, with an option to upgrade. Furniture is not included. Please refer to the furniture packages available below. For smaller organisations wanting a presence at the conference we recommend a 1.5m x 1.5 space. 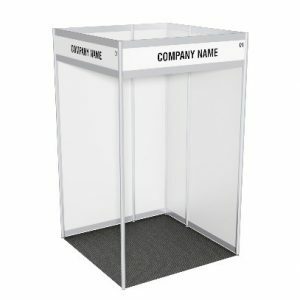 These will be in clusters of 4 giving everyone a ‘corner’ position encouraging interaction with delegates. See floor plan for details. See exhibitor terms and conditions. 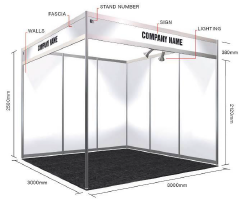 All exhibitors can order signage upgrades and additional furniture from the exhibition hire company at the time of booking.